Great writers create compelling, interesting and complicated characters who brim over with motivation, desire and conflict. In addition to voice and setting, they use physical details, specific imagery and character-defined dialogue. Some say without a good character, there is no story. I spoke with Fairfield University’s MFA professor Nalini Jones, author of the notable short story collection, What You Call Winter. She shared her opinions and insights about the craft of characterization. TD: In your short story collection, What You Call Winter, the Almeida family comes to life through a series of connected stories. These stories take place in a small community in India, and all of your characters are Indian. Throughout the collected stories, the children take center stage, whether they are servants or family members. What was your impetus in doing so, as well as having the children as protagonists in most of your stories? NJ: One simple response is that the story collection is set in a time and place that I visited as a child. My memories were a child’s memories, and I drew from them extensively in thinking about setting especially. And I am a foreigner in that place, and a child’s questions can sometimes share a quality of wonder with the questions we have when we enter a new world. So perhaps it’s natural that I became interested in children’s perspectives. But I also wonder if serious fiction does children a disservice—if they are overlooked as being crude or negligible or half-formed when in fact, they often have real and vivid things to say. They notice different things, they make different connections; they have clear ideas about what they want and are capable of elaborate constructions to make sense of the world around them. All that seemed to me an opportunity in the sort of fiction I was writing. TD: What comes first character, story or situation? Do you build your characters inside out or does your plot/conflict/motivation form the genesis of each character? NJ: For me, questions come first, and questions arise from character. Who is this person? But we don’t think about people in the abstract; they are always grounded by their circumstances: who is this person, in this place and this moment? I think many of us – writers or not – ask these sorts of questions quite naturally, without noticing: who might live in that house? What sort of person is working in that tollbooth? But for me, the questions that kindle fiction go beyond idle curiosity. They are so deeply engaging that they become crucial. They demand to be answered. And almost at once, situation becomes the framework for those questions. What would she feel when this happens or that happens? How will he respond when that happens? Part of the challenge of writing stories, in particular, is finding the right situation for the characters I’ve come to know, situations that feel both genuine and revealing. TD: Where do your characters come from? They are all so different. NJ: They’re different because all people are different from one another. I see characters as people I meet in an imaginative sphere, and I’m drawn to some more than others—very much the same way I respond when I meet people in my real life. At times they reveal themselves to me, sometimes swiftly, sometimes over years. Eventually I learn enough about some of them to be trusted with their stories. TD: How do you enliven your characters? What details do you include about your characters to make them real? NJ: They feel real to me at the start, so the process is not really about building them up. In other words, it’s not as if I start with a lump of clay and slap on more to make layers of personhood. For me, exploring character feels more like taking the time to discover someone who is already fully formed. TD: In the collection’s first story, “In the Garden,” the young girl, Marian is crafted with great skill. As a young girl many odd years ago, I could easily identify with her. Was the snake based on someone’s experience? NJ: The story about Marian as a child was based very loosely on something that happened to my mother as a girl. She was frightened by a snake in her garden as a schoolgirl, years older than my character. The story was given to us, my sister, brother and me, as a cautionary tale; if she had not obeyed her father instantly and without question when he warned her, she might have been struck and killed by the snake. I’m afraid this story was very much intended for me – I was least likely, in my family, to listen and obey. So perhaps it’s not surprising that I wanted to reclaim that story when I was older. By then what struck me were the parallels with Eden – the snake and the garden – and the fiction took over. So the story as written has almost nothing to do with what actually happened. Whatever I knew of the real history—and that was never much— is submerged nearly entirely by the imaginative work of creating characters I understood. I did not presume to think I knew my mother as a girl, but Marian was someone I came to know intimately, and so eventually I could write her story. TD: In “The Crow and The Monkey,” young Jude is so needy. Did you base his character on someone you knew or something you experienced? NJ: I suppose I don’t think of Jude as particularly needy, at least no more so than most kids. He loves his family, certainly, and he considers the live-in servant Rosa as family. He dreads her departure whenever he thinks about it, but I don’t believe he thinks of it constantly. He’s a kid – he wants to have fun, he resents taking naps. That was my strongest connection to him, really. I remember being sent to rest as a child and tormenting myself with the idea that a whole fascinating world was in motion just outside my window. I hated the idea of missing something, and Jude and I share that. TD: In shaping a short story, there is a limited amount of time and space. Shaping a character has its own set of limitations. Based on that, how do you construct your character’s traits – are they motivated by your story’s theme? NJ: I’m not sure I agree that a character’s traits are limited, but it’s true that there’s limited space and time in a story in which to reveal that character. I don’t set about writing, thinking of constructing character or of writing to a particular theme. Honestly, that seems like a lot for one poor writer to juggle. I simply think, what would this person do next? What would she say? How would he feel? If I do that faithfully, if I really stay with the character, I usually land in places I didn’t expect. Then later I can go back and refine the plot, take out whatever isn’t needed, think about the full arc of the story. TD: What draws you to a particular character? How do you see them in the larger whole of the storyline? NJ: It’s a good question! I’m drawn to characters that intrigue me. Who is that girl, grinding spices? – the sort of girl I’ve encountered dozens of times in Indian kitchens I visited as a child but never came to know as well as I’d like. What sort of person leaves home forever? Why can’t that woman give her kid a break? The characters don’t have to be good, or kind, or generous; they don’t have to be people I’d consider a friend. But I have to be curious about them, and ultimately, I have to treat them with compassion. Usually I come to care for them in one way or another, even if I don’t like their choices. TD: Do you ever find a character troublesome, and if so, how do you handle it? NJ: Well, a character that gets into trouble is useful. Plot! Conflict! The more trouble, the better. But I think you mean characters that are troublesome to me, not to each other. Trouble comes when I don’t know something I need to know about a character. There’s no way around that; I have to stop, and be patient, and set about learning more. Usually that means thinking through different versions of the same scene again and again – or writing it again and again – until I find the one that feels genuine. It’s not efficient. It’s sometimes a drag. But it’s the only way I know. TD: When you complete a story, do you ever want to change or add something to a character once the story is published? NJ: I revise and revise and revise again, so once I turn in a piece, I try to let go of it. But certain characters don’t let go of me – which is to say, I’m still curious about them, still interested in what might happen next. In that case I write new stories for them. I don’t tend to dwell on the work I’ve already finished, although I do sometimes consult old work to remember bits and pieces about characters whom I’m revisiting in new work. TD: And finally, when you begin to build a character, do you use a set guide such as the one Proust used? NJ: Nope. I just wonder, what would the person do in this moment, and the next, and the next. 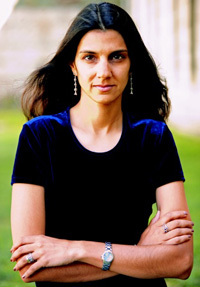 Nalini Jones is the author of the story collection, What You Call Winter (Knopf, 2007). Her short fiction has appeared in One Story, Elle India, Ontario Review, and Esquire (The Napkin Project), among other publications, and she has contributed essays to Freud’s Blind Spot, an anthology about siblings (2010), and AIDS Sutra, an anthology about the HIV crisis in India (2008). She was a Stanford Calderwood Fellow of Macdowell, and a recipient of an NEA fellowship in fiction (2012). Currently she teaches in the graduate writing program at Fairfield University and is at work on a novel set in India.